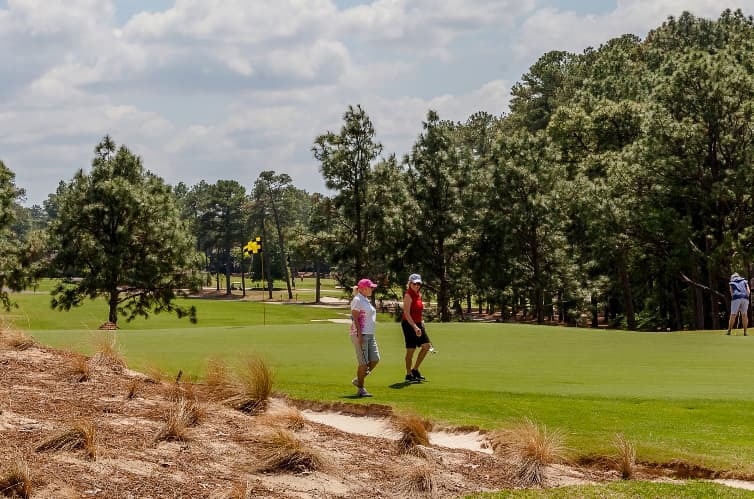 WE OFTEN LIKE TO SAY THAT THE FACE AND VOICE OF FROLIN HATCHER ARE, for many people, the first things our guests see and hear when they arrive to play at Pinehurst. And, truly, we can have no better representation of what Pinehurst is than Frolin, who has worked here for more than half a century. Frolin, though, is planning to begin his path to retirement – or at least slowing down a little. He will still work full-time through the end of the year, but will begin to take more time off going forward, perhaps only working a day or two a week next spring. That said, we feel like it is time to have a special day for Frolin at Pinehurst. On Oct. 23, we will host a reception from 5:30-8:30 p.m. in the St. Andrews Room in the Resort Clubhouse – just a few steps away from where we’ve all been so fortunate to see and chat with Frolin all these years. We will plan to begin special remarks around 6:30. As you all know, Frolin’s never met a stranger (Watch below, “We don’t have no strangers. We don’t deal with strangers, baby.”), so we expect that a lot of people will want to come celebrate a career like few have ever had here. All are welcome to come by and salute our dear friend, Frolin Hatcher.